Venturi Air Movers are powered by compressed air or saturated steam and operate on the Venturi principle of using small volumes of high velocity air from a compressed source. 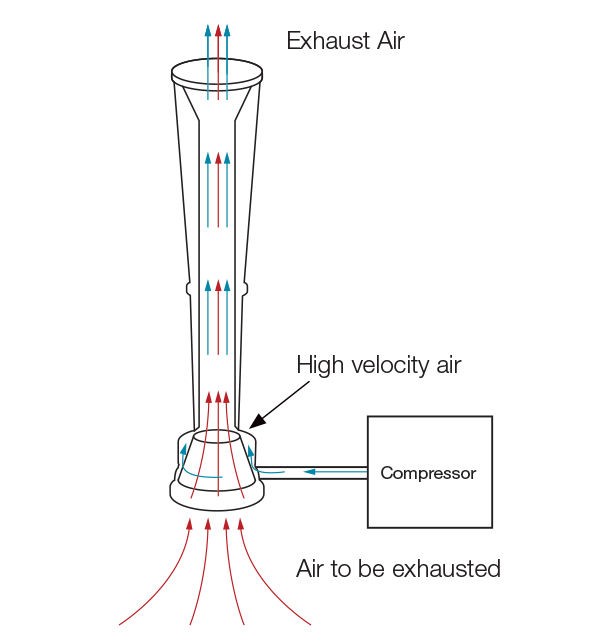 A high velocity stream exiting the Venturi nozzle entrains a body of low velocity air within a tank/vessel. 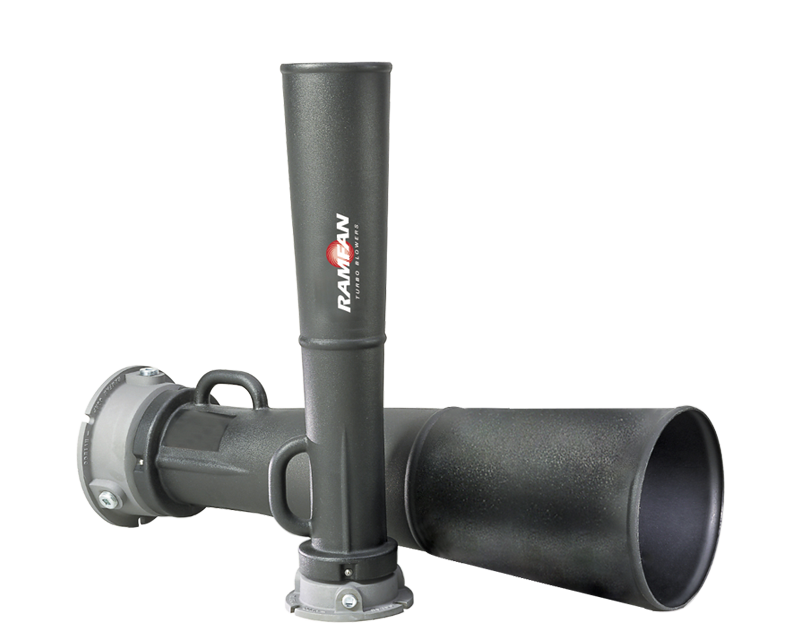 This creates an effective exhaust solution without the use of moving parts. The Venturi Air Mover is suitable for railcar tankers, shipboard tanks, factory smoke stack access and aircraft fuel tanks. This ventilation method with pneumatic power is preferred when safety is a major concern and compressed air is readily available. 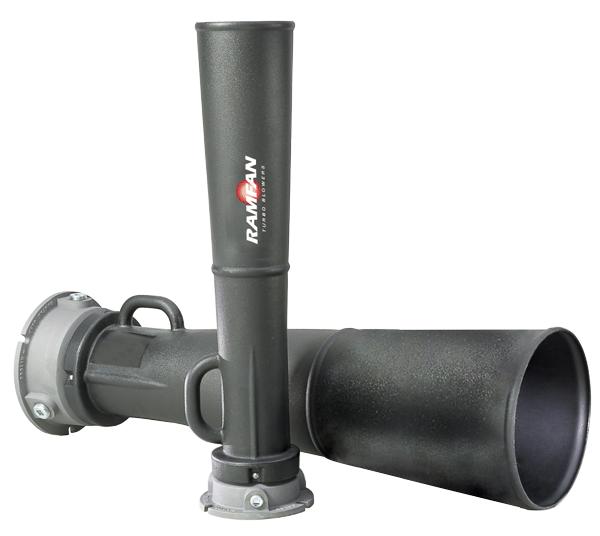 Anti-static, polyethylene, crush and dent resistant cone. Cylindrical mixing chamber delivers higher induction ratios. Requires minimal maintenance with no moving parts.